We have drifted home along sections of the Murray, cutting the odd corner here and there for the sake of expediency. 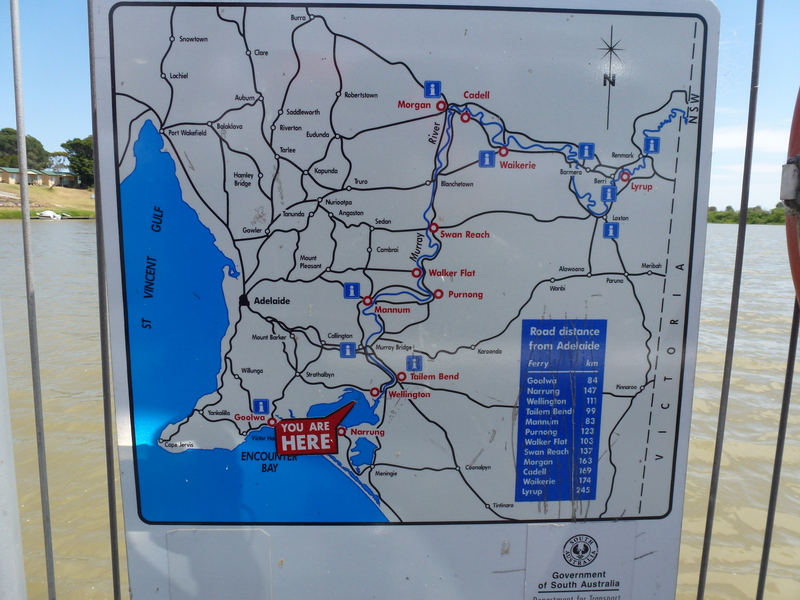 From Victor Harbour we headed across to Wellington just above lake Alexandrina. 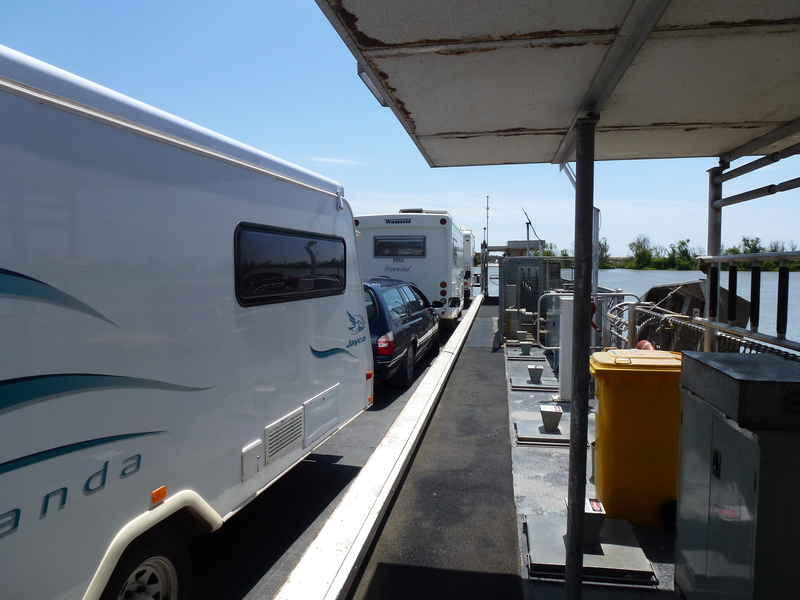 An unexpected ferry crossing of the Murray added interest to our drive. We spent that night at a recreation reserve in the mighty metropolis of Underbool. Hugely expensive it was at $6 for the night with big green oval for us all to run on an playground and hot showers. We ate dinner that night with a 82 year old from Echuca who had driven off road to Underbool before doing his gearbox in. He seemed very grateful for the hamburger and told us we were welcome to look him up. His tow arrived and off he went. 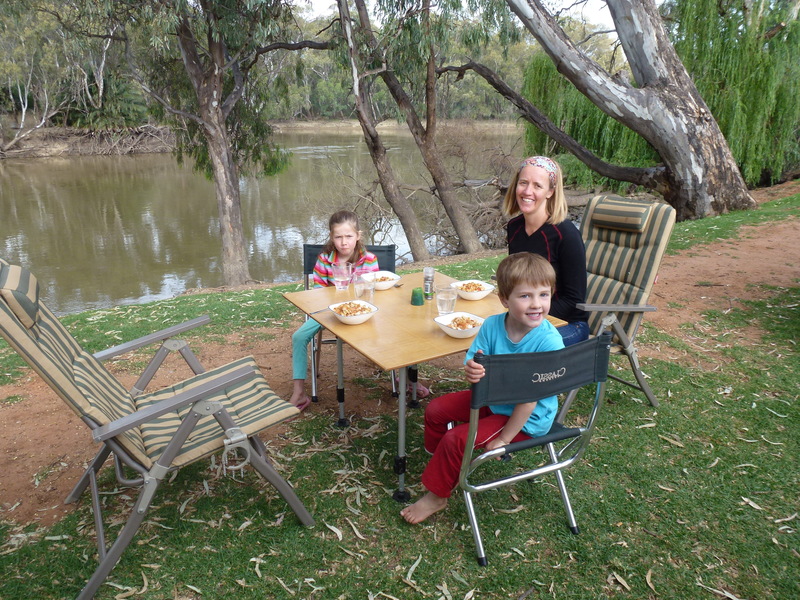 At Swan Hill we camped on the banks of the Murray river. 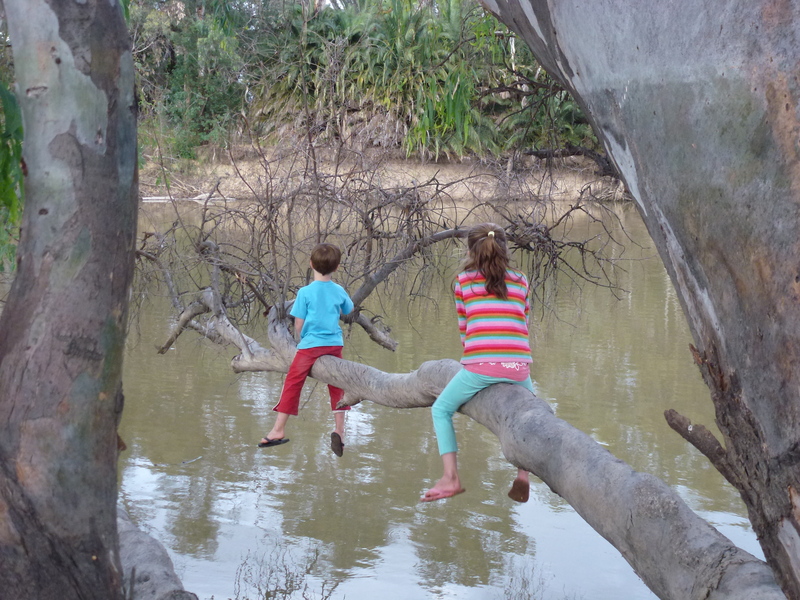 It’s dirty brown water drifted lazily past between a tunnel of red gums. The serenity punctuated only occasionally by the pleasant chuff chuff of the local paddle steamer and unpleasantly by the whir of a speeding jet ski. Fisherman hauled carp from the river and hurled them backwards over their heads into the bush rather than return them to the river to stir up yet more mud. All manner of bird went about their business up, down and besides the river. 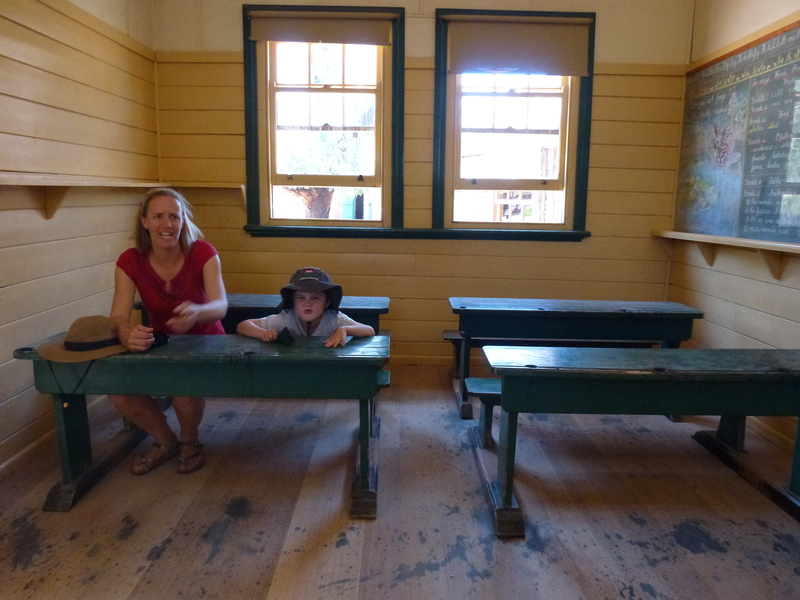 The next day we visited the Swan Hill Pioneer Settlement (after a very late start so that I could jog a quick 13km), so named because the Queen suggested that would be more appropriate than whatever it was called before her visit long long ago. A bit like old Sydney Town used to be, the settlement was one of those stepping back in time experiences. A bit kitch, but plenty to see and enhanced by the fact that many of the buildings were the genuine article gathered from across the region into this location. 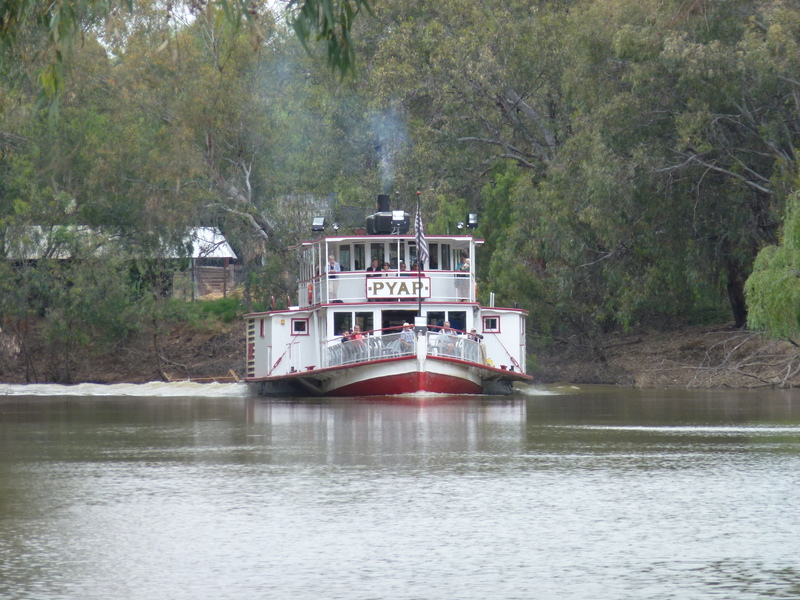 A cruise on the PV Pyap, a paddle boat, was the highlight and a very popular experience with tourists of all ages. We shared the back deck with a rowdy school group from Bendigo. Entertaining in it’s own way. 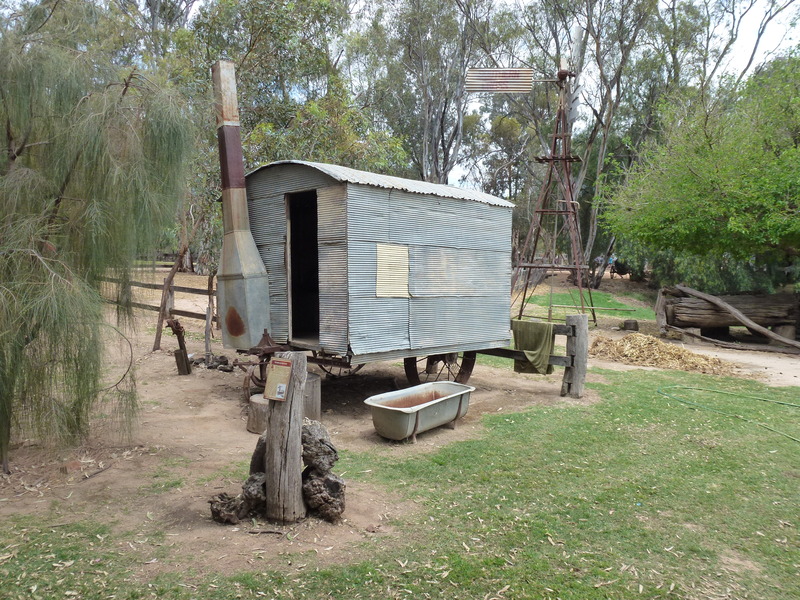 Pioneer settlement – the first Jayco? A short drive the following day landed us in Echuca. It was hot so we enjoyed the pool for a while before I dragged everyone back into the car for a drive out to Barmah Forest. 15 years ago Emma and I didn’t quite get together in Barmah Forest but it was perhaps the height of our flirting during a Uni field trip some. 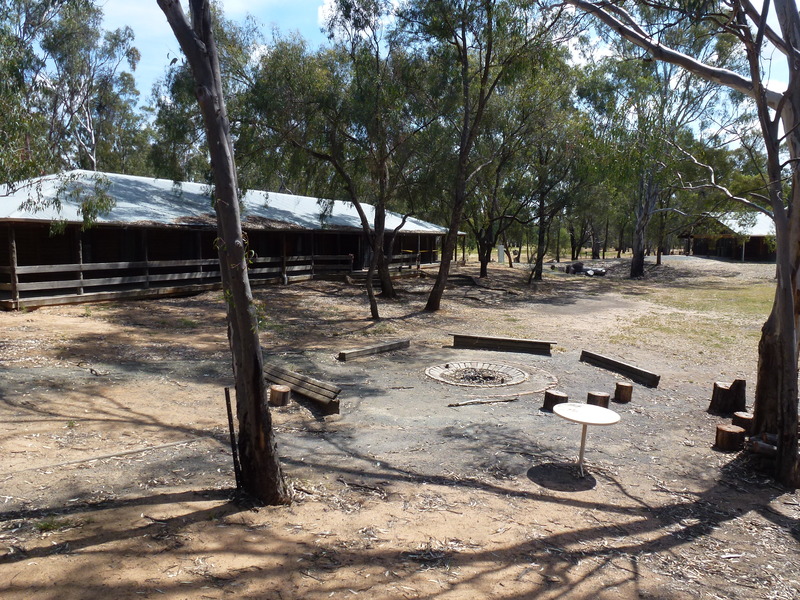 There is a bunk house with a campfire at Barmah where Emma and I chatted into the wee small hours of the morning while unbeknownst to us (at the time anyway) our friends watched on placing bets on whether we would get together then and there. I didn’t expect we would find the spot all this time later but we did. I reminisced as I took photos musing on the passage of time but the sameness of the place. Emma waited in the car with Amy and Oliver. They had fallen sound asleep exhausted from keeping themselves up until 10pm the night before. Who knew we would return to this place 15 years later with a family in tow? Life is a many splendid thing. 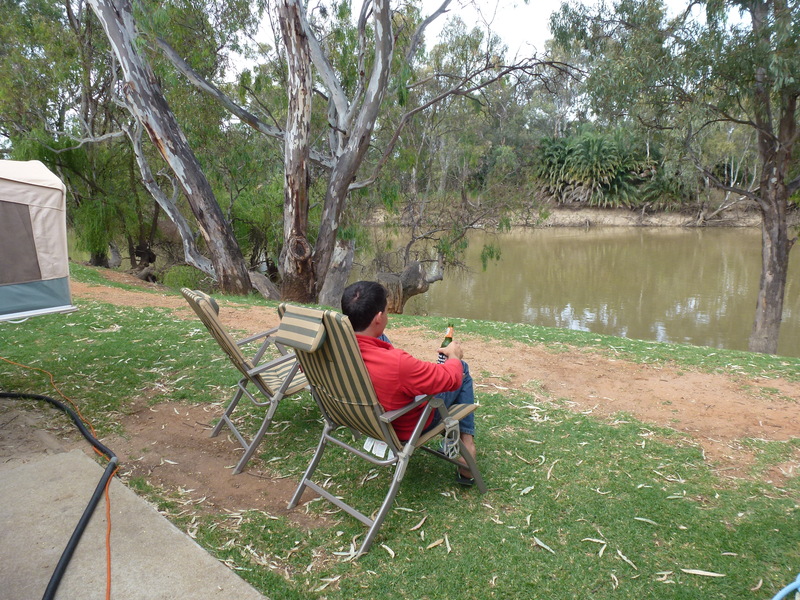 Barmah is still a beautiful spot or maybe I’m just sentimental. 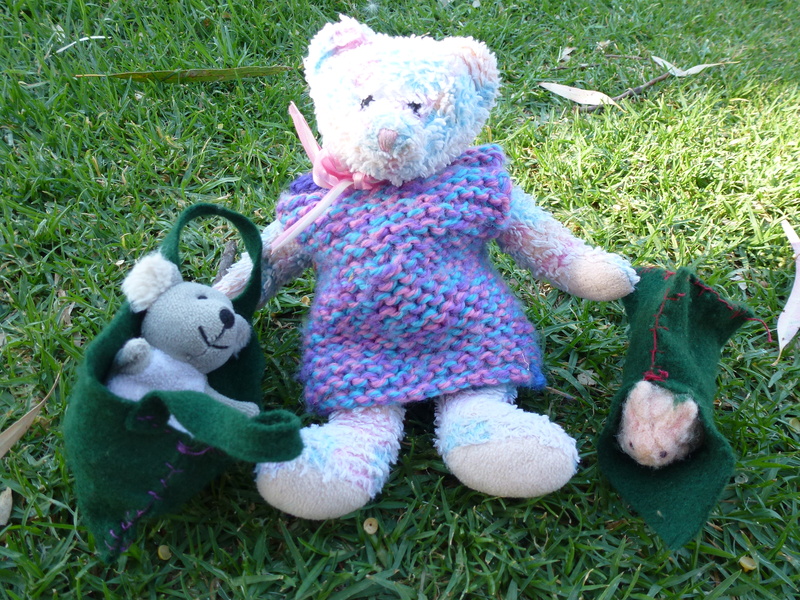 The next morning we walked the streets of Echuca picking up various bits and pieces along the way. With just two days to go the purse strings were being relaxed as we sought to eek out the most of our remaining time on the road. 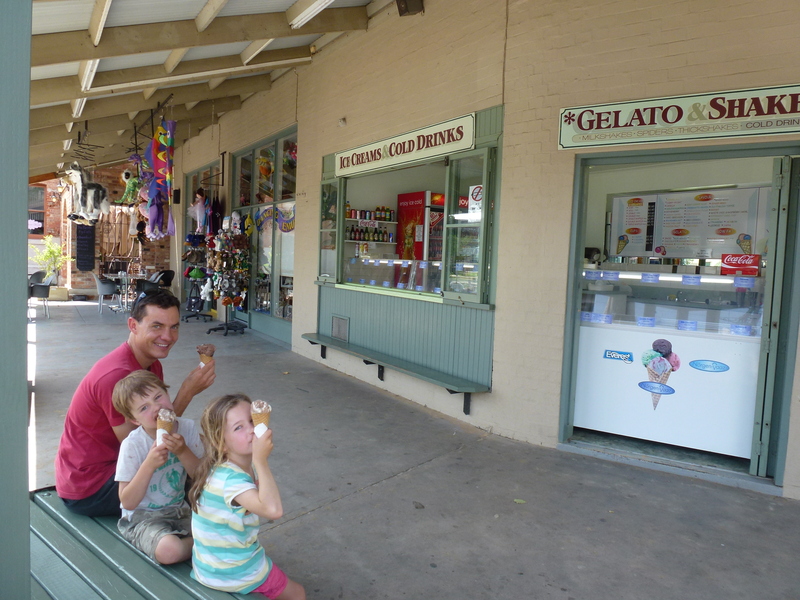 About lunchtime we hit the road for Wagga Wagga where I am writing this. Soon we will be home. I’m not quite sure where five months went. A tops possible final entry Greg.